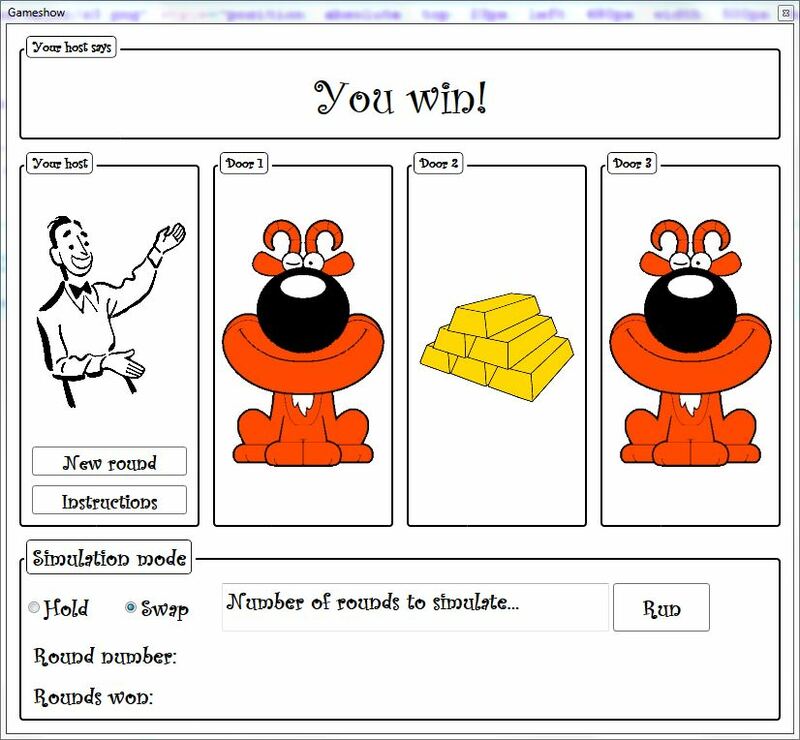 The game based on the imaginary game show, where you are presented with three doors. Behind two of the doors are goats and behind one door is a prize. The host asks you to chose a door and then opens a door that has a goat behind it. The host asks if you want to hold or swap doors for the other unopened door. You may be surprised at how advantageous it is to swap. In fact, if you swap each time you play a round you will win 2/3 of the rounds you play. Also included in this application is a simulation mode. So you could find out how many times you would win if you played 10,000,000 consecutive games and held or swapped each time.